National Beer Month kicks off this weekend with restaurants and bars in New York City and Brooklyn offering up inviting food and drink escapes from the sweltering heat. Look for the Good Beer Seal created by Mayor Bloomberg in July 2009. 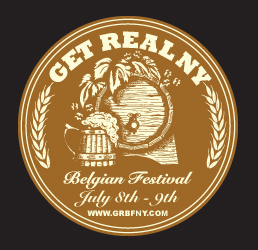 Get Real Belgian Beer Festival: Find more than 100 of the most distinctive Belgian and Belgian-inspired brews on July 8 and 9 at The Altman Building. Savor your beers with Belgian specialties such as Belgian waffles, oysters, chocolates, and bratwurst from local NYC restaurants and artisanal food shops. Tickets are $85 and include a souvenir glass, unlimited tasting pours and food sampling, a fest beer guide, live music, and tasting panels. Craft/Beer/Jam: Jimmy Carbone, host of radio show “Beer Sessions” and co-founder of July Good Beer Month, invites guests to learn about the history of New York City as a brewery town. Panelists include Robin Ottaway (Brooklyn Brewery), Jeff Gorlechen (Sixpoint Craft Ales), and Kelly Taylor (Kelso Brewery). Rock out to local bands in this year’s Battle of the Boroughs while sampling NYC craft beers and appetizers from local restaurants. Tickets are $15 and include the beer tasting. July 15 at 7pm at The Green Space. Edible Brooklyn & Edible Manhattan’s Good Beer: Join in the third year of this elaborate event showcasing more than 20 craft beers and food from 20 of NYC’s best restaurants. Featured vendors include Brooklyn Brewery, Ithaca Beer Co., Stella Artois, Smuttynose, Kelso, Fatty Cue, Gramercy Tavern, Gus Soda, Kimchi Taco, and The Meatball Shop. July 26, 6pm-9pm at the Brooklyn Academy of Music. Tickets are $40 and include all beer and food. Columbus Tavern: Sit at the 100 year-old mahogany bar and order the Harpoon Summer Ale, on tap for only $6. Go for the jolt and try the tavern’s beer cocktail with a kick, the Srirachalada with Partida Reposado, housemade Sriracha-based Bloody Mary mix, Gaffel Lager, and a salted rim ($12). The Bronx Ale House: Can lovers will rejoice on Monday nights at The Bronx Alehouse, where craft beer cans are served for $5. Pair your selection with a handcrafted half-pound burger and enjoy both for only $10. G-50 Bar & Grill: The American-style bistro in Midtown East welcomes serves $5 seasonal microbrews every weekday from 4pm-7pm. Favorites include the Brooklyn Summer Ale and Sixpoint Sweet Action. Brooklyn Diner: Head to the Carnegie Hall location for some Brooklyn fare (think Coney Island Lobster Roll, Noodle Kugel, Hot Pastrami) and top it off with the four-ounce four-beer tasting ($10.50) including Abita Light Beer, Stone India Pale Ale, Smuttynose Old Brown Dog Ale, and, of course, Brooklyn Lager. Pints of each are available for $8. Sunswick 35/35: This hidden gem in Queens makes you proud to be a New Yorker on Tuesday nights with $1 off all NY brews. Le Caprice: London meets New York at this Upper East Side favorite, where two-for-one beers are offered from 5pm-7:30pm all month in celebration of the restaurant’s new beer menu. Show your national pride by ordering American brews such as Lagunitas ($9), Rogue Dead Guy ($10), and Full Sail ($9) or do it like the Brits with Fuller’s London Pride ($9) and Guinness ($9). 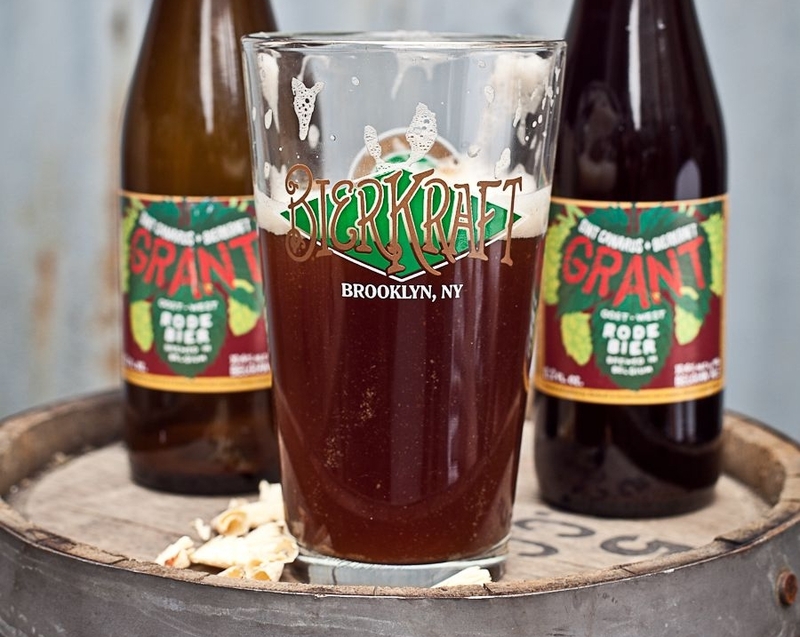 Bierkraft: Park Slope’s gourmet grocery and beer emporium is proud to offer its Tuesday Tastings every Tuesday at 7pm, hosted by local brewers and staff. Tastings and nibbles are free. MexiQ Kitchen & Draught: Celebrate National Beer Month and Belgium Independence Day (July 21) with MexiQ’s 10-day Belgium Beer Festival from July 14-24. Enjoy a variety of Belgium from the back bar’s 48 taps, paired with homemade sausages. The Bedford: The Bedford is the place to be in Brooklyn for happy hour in July. Relax after a hard day’s work to $1 oysters and $5 pints of Stella weekdays from 4pm-6pm. This entry was posted on Friday, July 8th, 2011 at 11:57 am	and is filed under Stuff to Do. You can follow any responses to this entry through the RSS 2.0 feed. You can leave a response, or trackback from your own site. I am in NYC this week visiting some friends and can’t believe my luck that it’s beer month! 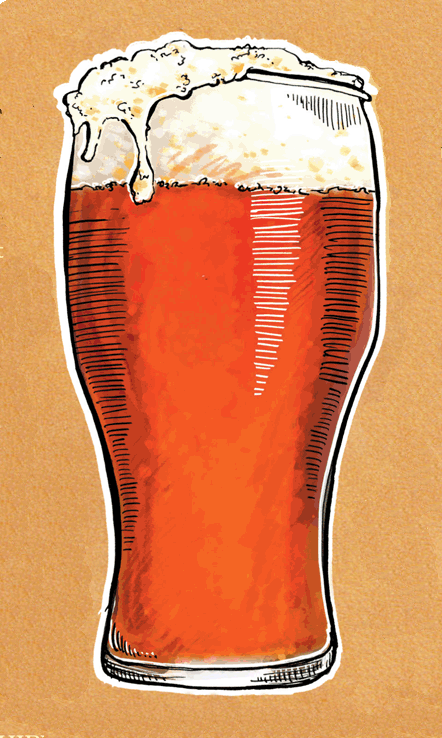 So, not only can we eat at some great NYC restaurants, but we can drink lots of great beers! National Beer Month!! Well that’s all I need to know. Done. Thanks for the suggestions I will try all of those and more. Have you tried Earl’s Beer and Cheese at 97th and Park? Great craft beers on tap that rotate frequently.